Call Kelly London, Berrien Property, 269.362.5885, for your private showing. Beautiful home lovingly cared for and maintained. Features 3 bedrooms and 2 baths located on an under an acre of land that backs up to the McKenzie Creek.Open concept with high ceilings in the living room. Enjoy sitting on the newly added screened porch on the front or the 12 x 20 deck overlooking the back property. There is a garden to grow your own vegetables. This home has beautiful redbud & dogwood trees, lilacs & peonies. Flower beds are just waiting to bloom with perennials, including roses. There is a shed for storage for tractor and lawn tools. 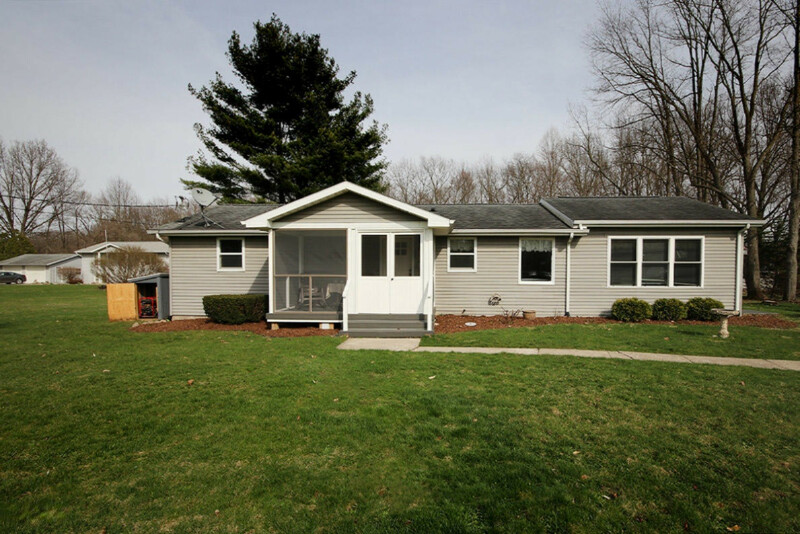 Includes full basement with egress window for adding additional bedroom or living space. Enjoy the fire pit on the back of the property. All exterior doors have been replaced. The 500 gallon propane tank was just filled!